What's The Deal with 'Sherlock's Mary Morstan? Heading into the season three finale, and after the absolutely crackers second episode, "The Sign of Three," we're positively distressed that the other shoe is about to drop on Sherlock. Namely in regards to Watson's newfound happy ending with Mary Morstan, his new wife and mother-to-be of his child. 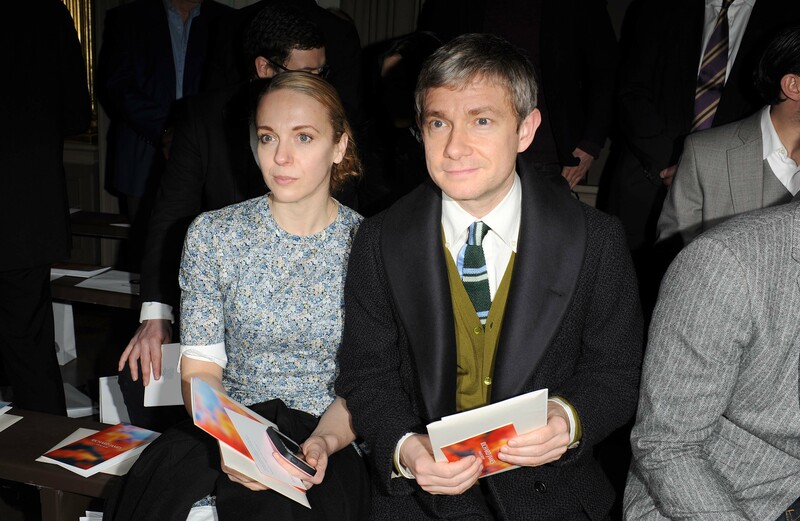 Because while there are heaps of things to like about the character as portrayed by John Watson's real-life alter-ego Martin Freeman's real-life partner, Amanda Abbington, that's exactly what causes us pause. This is Sherlock, after all, and happy ever afters are rarely part of the equation. What's so troubling is not what we know about her, but rather all that we do not. And considering the turmoil Watson has faced in just the past two years (it's never good to play dead and not let your best friend in on the ruse), it's hard not to feel a bit of protective and smothering concern over the man's emotional well-being. Which is why it seems likely that Mary Watson may be, I'm sad to say, on the wrong side of the equation. Consider what we know about her thus far from the BBC-Sherlockian standpoint: Mary Morstan has abruptly entered John Watson's life out of nowhere to become his secretary at work before they fall madly in love. Oh yeah: she's also an orphan. Plus she's incredibly smart and actually likes Sherlock: and as Watson pointed out during their stag night, not many people like Sherlock — especially not upon first meeting the detective. And that should go double for Mary, considering all that Sherlock put her husband through. Unfortunately/as seems to be a running theme on this series, if there's a woman on here that's likable and can keep up with Sherlock and Watson, she's most likely someone with at least questionable moral leanings (Hello, Irene Adler). Now, for fans of the works of Sir Arthur Conan Doyle, the history of Mrs. Watson varies slightly — as Steven Moffat and Mark Gatiss are wont to do — in that she comes into the world of Watson and Holmes as a client before they fall madly in love and get married. Only in the Doyle series — spoiler alert! — she dies, presumably in childbirth (though no one's ever said). And it's that little, unexplained fact that has us convinced that perhaps Moffat is up to something far more nefarious for the fate of Mary Morstan. Because, let's face it: he's become known for expanding upon — hello, the entirety of the Doctor Who 50th anniversary special — and toying with unfinished or unexplored storylines. Filling in the blanks is his bread and butter, and he's not shy about indulging in his love of creating stories around previously rug-swept asides. Considering the increasingly subverted nature with which Gatiss and Moffat come up with the stories for Sherlock from the source material, we're sure that Mary Morstan's storyline is heading in a bad, bad way. Well, bad for Watson, maybe good for everyone else involved: it's too soon to tell. Considering we've yet to actually see much of this season's big baddie — Charles Augustus Magnussen — we've a sneaking suspicion that perhaps Ms. Morstan is in on the whole charade. It would explain why she got those text messages over Sherlock when it came to saving Watson from the Guy Fawkes blaze. One can only hope that the bromantical duo will overcome the potential tomfoolery together. And it's all really too bad, because Mary Morstan was the perfect counterbalance for both Sherlock and Watson.